St Gwyddelan Church is around 500 years old and it was built about 1500 by Meredudd Wynne. It is dedicated to St Gwyddelan (the little Irishman), a Celtic missionary from Ireland who helped restore Christianity in Britain in the 5th century. 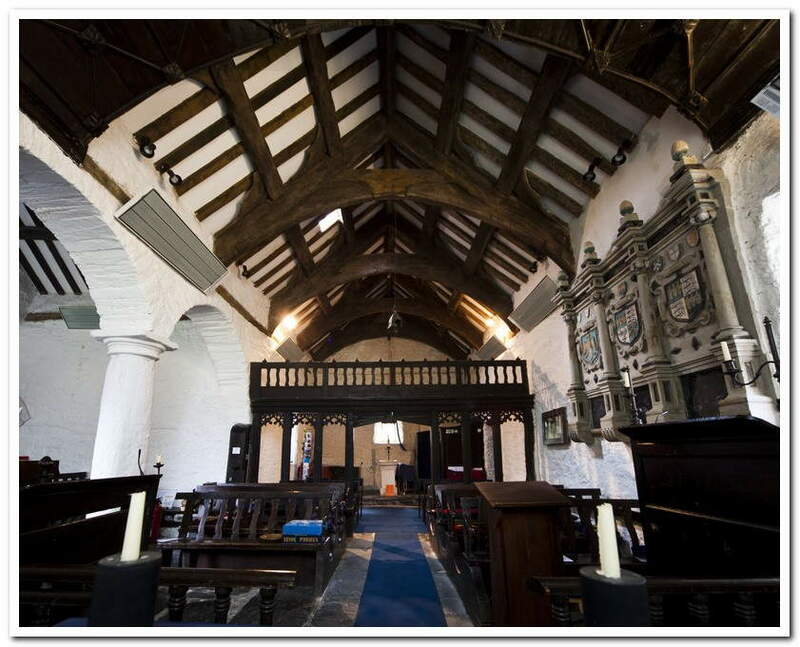 The old church was situated on a nearby hill called Bryn-y-Bedd however it was demolished and rebuilt on its present site in the 15th Century incorporating some of the materials and fittings. 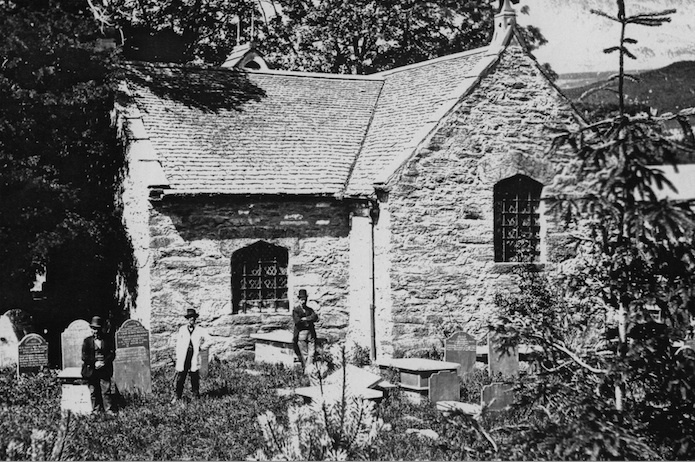 The church built by Meredudd consisted of a nave and chancel, the south chapel being added later in the 16th century by Robert Wynne. A lychgate on the south side was built in 1736; the date stone is in the wall near the present gate on the north side, which replaced it in modern times. The building was roofed with ‘carreg mwsog’ (stone slates embedded in moss, more moss being pushed in as necessary from time to time). The timbers are all held in place by wooden pegs; when the roof was overhauled in recent times the only timber replacement needed was one truss! About 1850, the porch was added, gable crosses, and a new bellcote, a west window in the nave, and replacement of the old south doorway by a window. 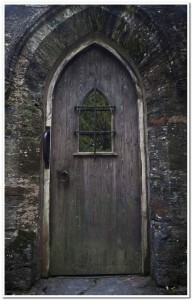 Note the old door, complete with sanctuary knocker. 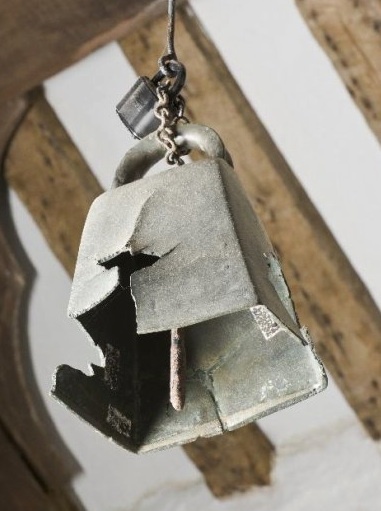 Hanging from one of the church beams is an old Celtic hand bell of cast bronze which is thought to be dated 800AD. ‘Cloch Wyddelan’ (St Gwyddelan’s Bell), was thought to be the original hand-bell brought from Ireland by St Gwyddelan over 1500 years ago. This bell was dug up in 1850 on Bryn-y-Bedd hill, where according to legend, St Gwyddelan set up his preaching cross when he arrived in Dolwyddelan in the 15th century. 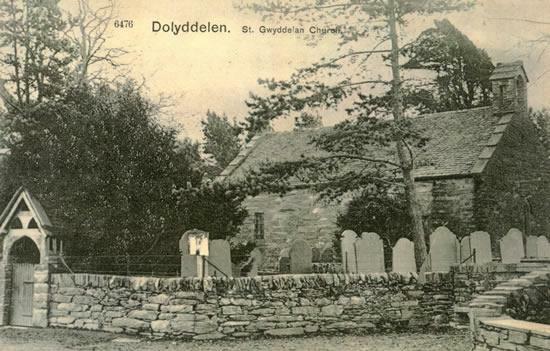 Meredudd Wynn(e), a chief of the Royal House of Cunedda and ancestor of the influential Wynn family of Gwydir Castle, came to live in Dolwyddelan Castle in the late 15th century. After fathering 20 children, it is said the castle became too small for his family, and he moved to a larger house further up the valley in Cwm Penamnen. 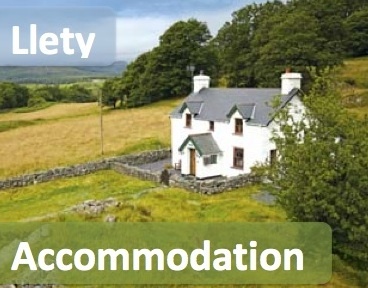 At the time, this area was overrun by robbers and outlaws who were living ‘in sanctuary’ at the Knights of St John’s Hospice, just a few miles away in the village of Ysbytu Ifan. No-one was safe from these outlaws. Meredudd decided to take drastic action. He demolished the old church and rebuilt it in its present position, in a safer location closer to his home. This enabled him to post lookouts with views of both the church and his household in Cwm Penamnen. Apparently, he would take his sword and wear full armour to worship here, and from his pew, he was able to see the lookouts raising the alarm when an attack was imminent, and therefor was able to react swiftly to any threat from the outlaws. The credit for banishing the outlaws that terrorised this area for many years goes to Meredudd. 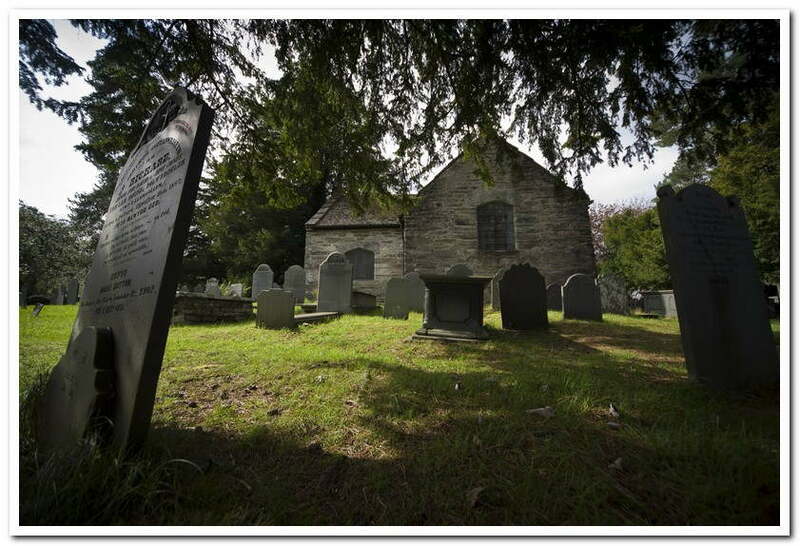 He died in 1525 and is buried here in St Gwyddelan’s churchyard. This small church is one of the best examples of its age in North Wales. 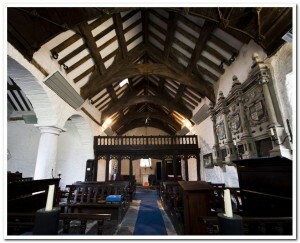 It has great atmosphere and is a charming place for worship. A visit is strongly recommended. 1984 – The bellcote was damaged by an earthquake, and was rebuilt and the bell re-hung. At the same time other repairs were carried out, new heating and lighting installed, also a memorial window in the side chapel, and the vestry was constructed at the west end of the nave. 2006 – The lychgate collapsed after a council refuse lorry reversed into it – this was rebuilt using new oak to replace the damaged timbers. 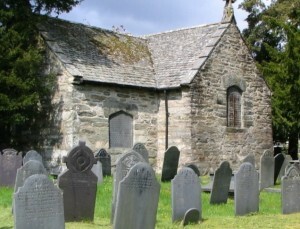 St Gwyddelan’s Church is used regularly for services, Welsh, English and bi-lingual. St Gwyddelan himself is remembered on 22nd August, the festival of the saint, Gwyimabsant. 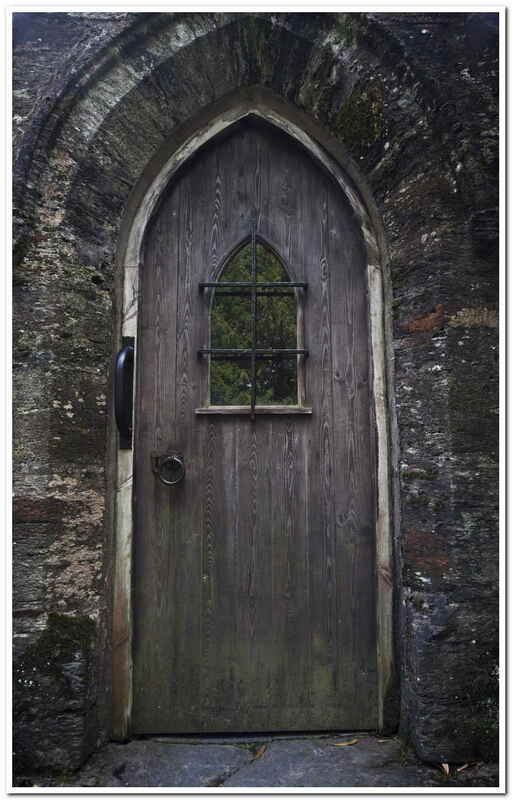 St Gwyddelan Church is a member of the Sacred Doorways project which funded through Conwy’s Rural Development Plan.